SUN SCREEN! SUN LOTION! SUN BLOCK! This is the most essential product you can buy. I'm talking about sun tan lotion. Sun block. We use this gallon jug. You can use this too. I suggest making it mandatory for all swim instructors to wear the lotion before they start their first lesson. When they're done teaching each class, they should get out of the pool, talk to parents, dry off, and lube up with sun tan lotion again. This is the number one best thing you can do (aside from not going outside) to protect your exposed skin from the damaging effects of the sun. Put your sun tan lotion on often. Recommended reapply rate is once every hour if you're in the water. 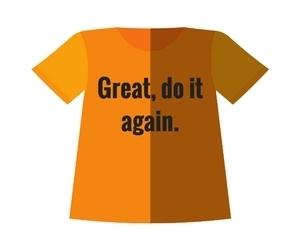 To creatively make sure your staff is wearing sunscreen, bake it into your routines and culture. Put the sunscreen on together before your first lesson after your daily meeting / debrief. Offer 45 minute swim lessons starting on the hour. After each class have a 15 minute break, and at the :55 get together for a group sun screen circle making sure to get everyone else's shoulders and back. Use the pump lotion or the spray-on. Make sure you're dry so it stays connected to the skin. You can check these out, https://amzn.to/2udnhnp, but I recommend going to swim outlet for something more like these: https://www.swimoutlet.com/p/dolfin-lifeguard-mens-long-sleeve-rashguard-8174189/?color=50448 Wear them to cover more skin, but still provide mobility and comfort. They are effective because the fabric will block the skin. Make these optional for your staff and cover the cost if they're used. i don't have a good recommendation to get teenagers to wear these, but if you do please comment! Maybe an end of the year bonus if you buy one and use it daily? wow. We had these type of hats available to us when I taught swim lessons, but very few people wore them. They looked weird, and only the most confident, most bold were willing to wear them. https://amzn.to/2J5dQvw At the time that was not me. You can wear these hats to protect your face and head from the damaging effects of the sun while you're teaching swimming lessons. Pair this with good sunglasses and you have total protection for your eyes and head. The worst time to be under the sun uncovered is between 10-4pm. The absolute worst between 11-2pm. Change your swim lessons to be earlier in the morning done at 11, and later in the evening starting at 4pm. That way your staff misses out on the worst of the sun. Your swimmers, often children, will benefit too from the decreased intensity of the sun. it might be a little colder, it might be a little more cloudy or uncomfortable, but you'll be protected and you'll be doing right by your teenage staff that, like me, will resist wearing sun screen. They're more worried about making the most out of their time and effort to bring their kid to swim lessons. They want progress, they want success, but they don't really care how you order your level structure. It isn't important to them. That isn't to say you shouldn't have a structure or a plan, but you don't need to drop thousands of dollars licensing a swim program to be successful. Getting parents to work with, not against you. Blog post about day 1 handout. Be proactive. How to teach your parents on your swim team. Learn how to interact with your swim lesson parents in a healthy way. Be proactive, take the first step, and be bold with giving information. Correct your teachers that aren't performing like they should! Frame things in the future. next time do this. Deal with it in private. Lots of talk about breath; on land, in the water, in small groups, and over short distances. Most effective initially with short distances, and constant discussion about it. Some level of attenuation. Lean what we do in dryland, and in our small groups to progressively move through breathing on land to maintaining the breath in the water. Struggle how to keep it relevant and enforce it: how to make it habit? How to tell if doing it? Enforcement. We've been refining the general format of our swim lessons. Ever forward, and ever working on refinement we've been teaching lessons using this new take on an old favorite. For a long time we've incorporated the "learn something, learn something, play a game format." you can see it in the lesson plans that you can buy on the website. I've been writing these lesson plans out for the last year on white boards for my veteran staff that might not want to think too hard at lessons and are more comfortable being told what to do. They might know the way to do it, and how to give feedback, but lack the experience and confidence to come up with a solid progression of skills to get the best results. Finally in the middle are the specific language the instructor should use for that level. Take note this isn't the scripts for glides and backfloat, but more careful specific words to use in order to get the best results quickly. "Start immediately in SL" means that you don't push off in 11, or like a wild person head first then do the streamline. It is deliberately crafted words to indicate that while the child is pushing off the wall it should be in streamline with no space between wall and water without it. Get the basics for your new swim program. If you're already established, take these ideas and see if you're already doing them. But he was uncertain in how to start teaching swimming lessons. It made me think about what the key things someone would need to begin. Like what if you'd never taught swim lessons before! I've always assumed that someone that was going to start teaching their own program had done what I did: work at their local pool as a teenager and over time and apprenticeship learn how to be a good teacher. Most of the content on Swimminglessonsideas.com is driving at how to run your swim lessons as either a private instructor who wants to hire some new staff, or as an Aquatic Professional that knows how to teach already and is looking to manage a large staff like a park district. I intitially wanted to direct john to the SLI Swim Instructor Training workbook; on Amazon. It is awesome. It takes you through the 15 essential swim skills which we build off of for our lesson plans. But it isn't comprehensive for a beginner. I think it needs to be. Then I figured that there was a ton of content in the blog section of swimminglessonsideas.com that he could read, but it was more designed around people that already know swimming; it is guides to help those already established. But that wasn't enough. 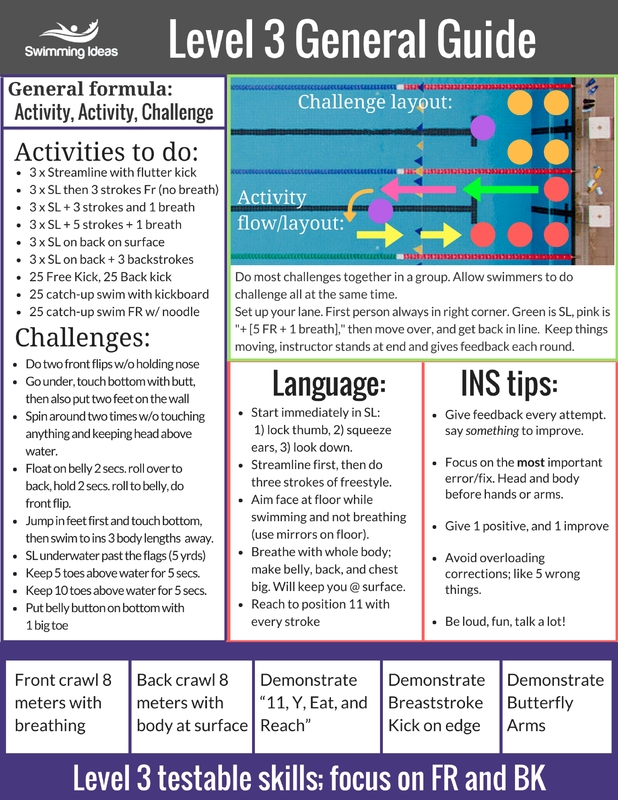 I'm working on a walkthrough for total beginners to get you moving on your swim lessons. This episode is for the starter who has not taught swim lessons before, and has nto been in a large program but knows how to swim. Essentials to teaching swim lessons. When you're available. Define days and times and stick to them. Do not spread yourself thin; if they want lessons they'll work around your schedule. Clear boundaries. Intimate understanding of where you're going and how you're going to get there. Time and place for games? 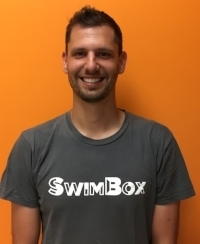 Dominic Latella from theswimbox.com stops by to talk about his online course about breathing and to follow up on his sensational comments. We talk about a lot of different things regarding swimming. I get a chance to ask Dominic to explain some of the parts of the Foundational Breathing Method for swimming. I've gone through this course, I've put it into practice, we use it in our developmental swim program and you can too. Finding deliberate practice in your swim lessons and on swim team. Learn how to integrate it into your program and make it the foundation for all instruction. Finding deliberate practice in swim lessons and on developmental swim teams. Games that have a challenge require thought to accomplish task, may be linked to swimming skill, but fun will trick them into trying harder. Focus keys: 3 things for sl, 3 for position 11, 3 for better swimming; goals. Daily dryland program for the first two groups / considering integrating it into swim lessons as a supplemental class/course.